This country’s first health insurance was formally set in place in 1929 when a group of schoolteachers from Dallas, Texas entered into an agreement with Baylor University Hospital through an organization that would later become Blue Cross Blue Shield (BCBS) of Texas. For fifty cents a month for each teacher, all hospital costs were covered. Historically, the idea of health insurance occurred much earlier. In those days, it was thought of more as “sickness” insurance. If a worker became ill, the family needed protection against the loss of wages as well as funding for medical expenses. It was in 1883 that Germany, led by Chancellor Otto Edward von Bismarck, enacted the first laws to deal with income loss due to illness. It arose out of the earlier “sickness fund” system set up by guilds, craftsmen, and miners following the dramatic shift from an agriculture to an industry. Because of the lack of formal standardization of medical training, the United States lagged behind its European counterparts. Until the Veterans’ Bureau was established, the federal government limited itself largely to quarantine, the care of the lepers and of army, navy, and merchant marine personnel, which could not be done by the individual states. Hospitals were created by public gifts and religious orders. Care was treated as a charitable endeavor. 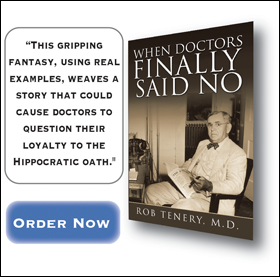 The American Medical Association, which spoke for most physicians, thought of medical care as largely a private transaction between a medical practitioner and a patient with no need for state or federal interference. As the 1940s progressed, political support for national health care faded with the rise of private health insurance. Initiated by the school-teachers of Dallas, Texas, in 1929, the private sector began to fill in the void of health insurance coverage. Blue Cross plans covered more than thirty-seven million people by 1951. In the early 1960s, three-fourths of Americans were covered by health insurance to some degree. The retirees, the self-employed, and the unemployed were largely left out since most coverage was tied to full-time employment. In 1960, Congress passed the Kerr-Mills Act, or Medical Assistance for the Aged. The purpose of the legislation was to contribute federal funds to state-run medical assistance programs for the indigent elderly who could not afford the added costs of their care. It is credited with providing the basis for passage of the future Medicare and Medicaid legislation. On July 30, 1965, President Lyndon B. Johnson signed the Social Security Amendments of 1965 into law. The landmark legislation created the social programs Medicare and Medicaid. Attempting to keep the federal government from getting involved in the routines of health care finance, Blue Cross was selected to be the intermediary by administering Medicare’s billing operations. The final bill included the administration’s plan for hospital care (Part A) and to pay for care provided by the doctors as optional (Part B). In 1972 the Medicare program was expanded to include individuals under sixty-five with permanent disabilities. Unlike Medicare, the Medicaid program is administered by the individual states and thus is dependent on their individual dictates and reimbursement rates. In 1987 the scope of coverage was expanded to include pregnant women and children in families with incomes at 100 percent above the federal poverty level or lower. Over time the Medicare rules have become much more regulatory in their approach in an attempt to rein in costs. In 1983 Medicare changed from a cost-based system of payment to hospitals and physicians treating patients in the hospital to one based on predetermined flat rates tied to diagnoses (Diagnostic Related Groups). Prospective payments for doctors (PPS) followed in 1989. Then Resource-Based Relative Value Scale (RBRVS) indexing was introduced, taking into account time spent, intensity of work, practice costs, and the costs for advanced training in 1993. By 2005 Congress passed more than 132,000 pages of rules and regulations.